‘Far Away’ is a short film written, directed and produced by James Battrick of ‘A Stamp of Approval Pictures’, a film production company based in Cardiff. ‘Far Away’ is the story of Alex Beck, a young man who travels for three days across mountains, fields and forests in order to replicate a similar adventure his deceased mother had completed 20 years prior, where he goes to say his final goodbyes. On his journey he faces both physical and emotional challenges that will ultimately change who he is forever. (Alex Beck is played by James Battrick). I composed the music soundtrack in January 2015 following the completion of the footage in late 2014. It was my first opportunity to write a full soundtrack to a short film and it was a great first project to work on because it allowed me the freedom to be creative with the resources I had available. With beautiful visual shots and clever camerawork of the mountains, fields and forests in the Brecon Beacons in West Wales and around Mountain Ash in Pontypridd, the music adds much needed sonic depth that captures emotions throughout the story. I really enjoyed working on this project and look forward to doing more in the future. A collection of pictures taken on shoots can be seen on: Southway Film Fest – ‘Far Away’. – It is in the ‘Official Selection for the Iron Pointe Film Festival 2015’. See full short film on the link below. Meet & Jam are a really good music platform for all musicians to set up their own online profiles. My profile can be found here: Oliver Daniel Nicholls meet & Jam profile. They are free to set up and feel very professional. Definitely worth it. 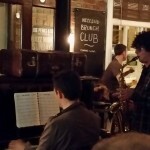 The Meet & Jam Night touches down at The Cellar in Oxford as part of our 2015 ‘Road to The 100 Club’ campaign! WHAT IS A MEET & JAM NIGHT? In addition, we carefully select 2 or 3 original acts that play in the middle of the evening directly to A&R scouts looking to sign some acts and have them perform at future events. I came up with this idea in around October 2014 with a quirky game character in mind. It would work well in a game setting because it is easy to listen to on a loop, and is not intrusive to the ear when it repeats. If anybody would like to use this music in their project please get in contact via email: olliedn.music@gmail.com. The tonic to dominant bass line is one of my favourites and features in many of my compositions. The flute cuts through nicely. I did not want it to be too up front in the mix; instead I wanted it sitting nicely alongside the piano. If I was to improve the mix I would do more to increase the overall volume to get the energy pumping. However I am happy with this mix and loudness isn’t always everything. Overall this piece is a gentle, simple piece suitable for a character within a game. Enjoy! This is another track written for the 2D Dungeon game Vagabond Legacy developed by Harrk. It represents the grass scene within the game, which is like home and is safe from the monsters that lurk in the dungeons. This track is calm with a melodic flute playing the melody that is backed with strings providing lush harmonies that ultimately blends the texture nicely. The music enhances the safeness of the scene with no threats from monsters. The user can relax and enjoy the scenery before carrying on with the quest. 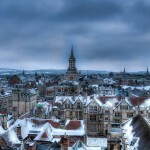 Music in Oxford is a Facebook Network Page that promotes music of all areas across Oxford and Oxfordshire. Join this group to find out the latest updates of Oxford’s music industry! You can connect with music promoters, producers, composers, performers, teachers, businesses, record labels, music studios, theatres, radio stations etc., see what events are coming up, discover new artists, find band members, sell or buy equipment, and explore the many areas of music Oxford offers. There’s always things going on! Please use this page to promote local talent. Post links to Facebook Pages, Websites, SoundClouds, relevant articles/reviews etc. and get discussions going with other members of Oxford’s community by ‘liking’, ‘sharing’ and ‘commenting’ on their posts. You never know who’s out there! This is another piece of music for Harrk’s game Vagabond Legacy, a 2D Dungeon game. I composed this piece at around the same time as Vagabond Legacy’s ‘Town Scene music’, so about June 2014 this one. I feel the sounds in the Dungeon Scene music really emphasises the suspense and thrill required in the game. The music drives the scene forward. The character is running around trying to escape the dungeon but is constantly battling with monsters. I believe I get this message across successfully to enhance the feelings of the user. This was my first experience writing music to brief for a game. I composed it in about May 2014 for Harrk’s game Vagabond Legacy, a 2D Dungeon game. This particular music has been written for the town scene. I really enjoyed composing and mixing this. The Tonic – Dominant bass line is easily listenable as the user will hear this music on repeat the whole time they are exploring the town. I do think though that in the future I will make the melody simpler as a couple of passages in the middle sound a little bit messy. Apart from that it all adds up to the experience and it is supposed to reflect a busy town scene! I was commissioned to write a Radio Jingle for the film ‘Visionaries‘ created by Inquisitive Pictures in April 2014. 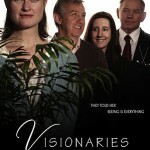 Produced, Written and Directed by Linda Ludwig, Visionaries is about a radio presenter called Evie Harris who is blind from birth. Her birthday present, organised by her husband and their friends, is an operation for her to receive sight. Vision is an exciting new world for Evie at first, but the pressures and consequences of her new ability start to endanger her marriage and her way of life. It very soon seems like a curse. I thoroughly enjoyed creating a jingle for the radio show within the film. It is based in the 1990s so I looked up many different jingles from that time period to reflect it in this piece. This was my first experience writing to a brief for a film.